Welcome to The Wow!Factor Project! The goal of this program is to increase the quality and performance of each club around the world. Assess how your club is performing. Find the gaps and areas of weakness. Give your completed check list to your club President who will discuss all the findings with everyone. Evaluate your club with the Club Quality Checklist. 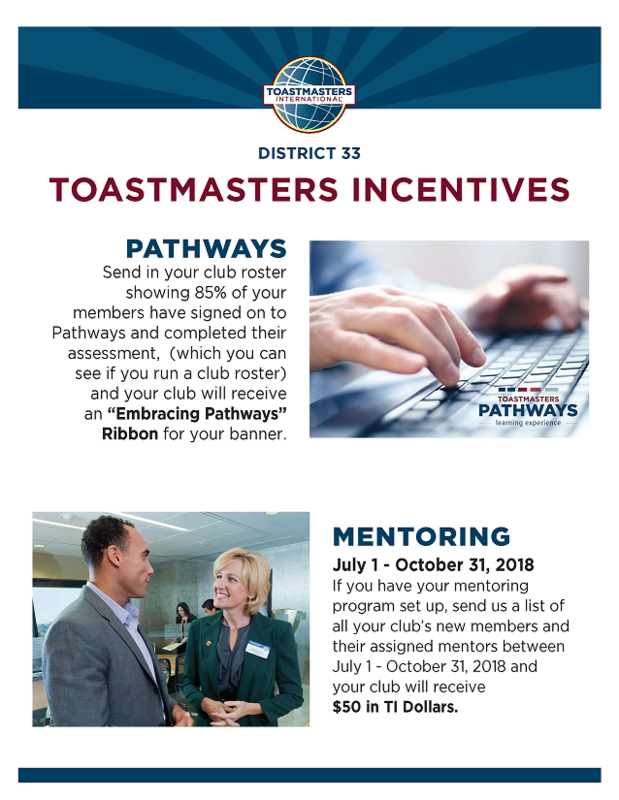 Do You Have What it Takes to Be a Club Ambassador? 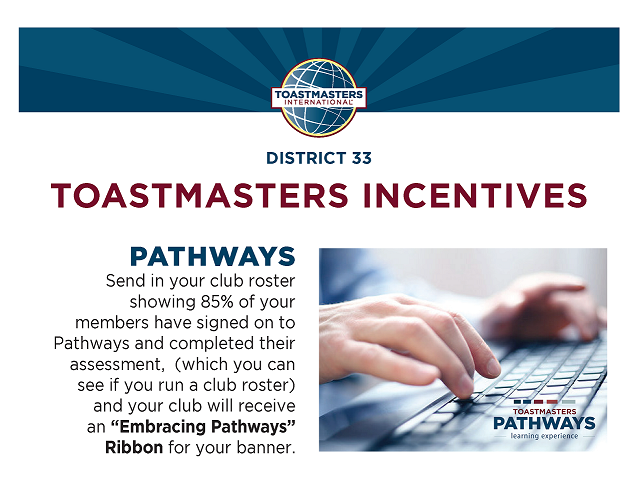 For the rest of our D33 incentives, visit the Incentives page listed on the RESOURCES menu item.